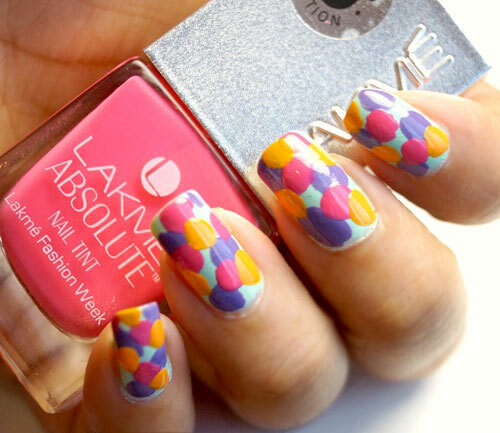 Holi is festival of colors and how about painting your nails in array of colors too. Here are five interesting design ideas which will help you to do so…. 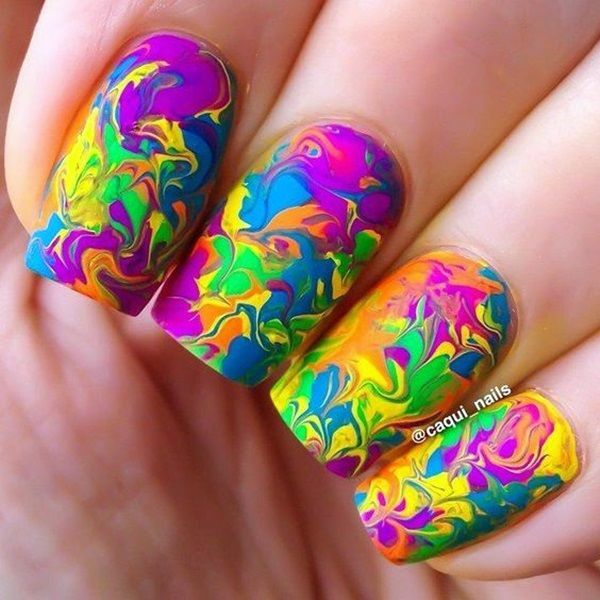 Marbling– The marble technique is not just confined to color papers and fabric, it can also be done on nails. Choose bright and contrast shades so that each color stands out on its own. You can choose as many colors you want but at least two or three will be needed to achieve best results in marbling. 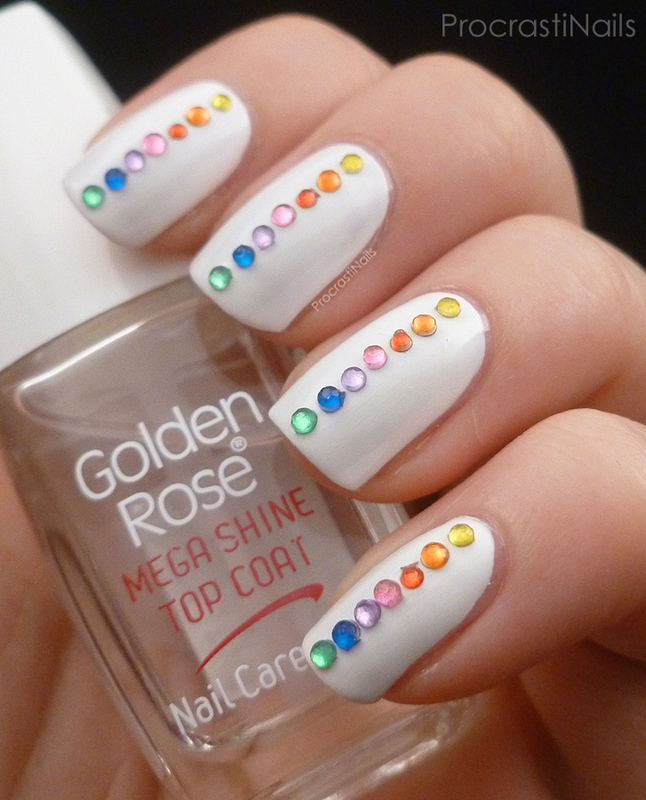 Bindi– For a quick and easy nail art pick small sized Bindi in different colors. The one with glossy textures are great to use for this idea. Start by choosing a light color nail paint like an off white, powder grey etc and stick colorful bindi’s on the top after the nailpaint dries. 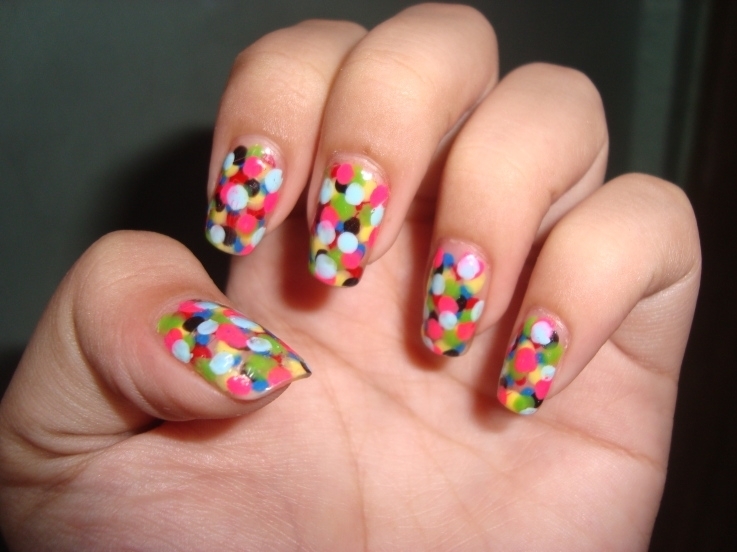 You can choose any design like a straight line or a splatter one, basically whatever you like. 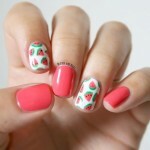 Polka dots-You can also create bold polka dots pattern one above another in different colors. Start by putting a base coat of a light shade, and once it dries you can create these dots with the help of a bobby pin or any other round thing. 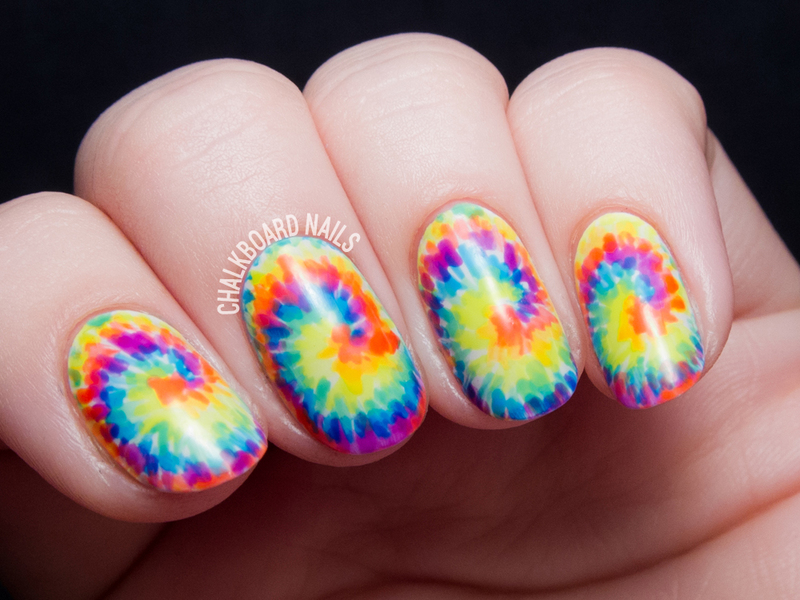 Tie and Dye-A simple tie and dye pattern is great for holi. 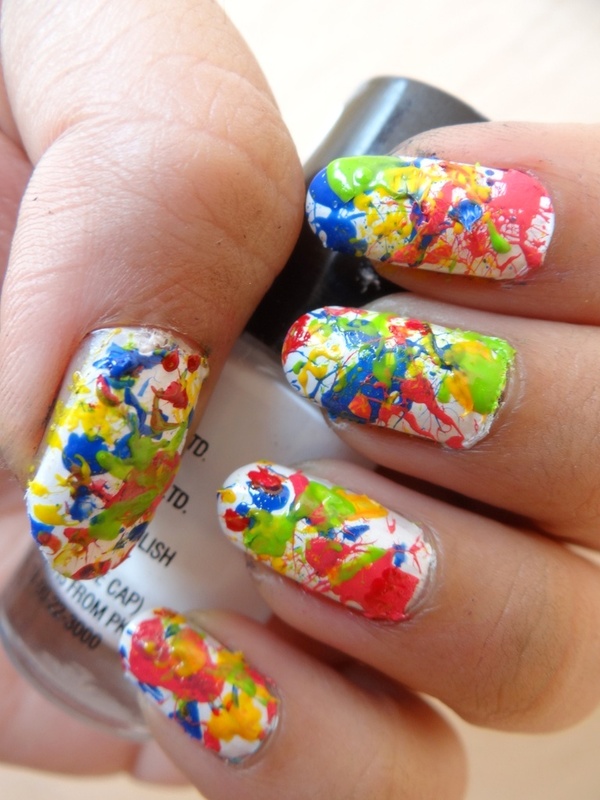 Splatter nails– One of the best textures for this occasion is surely this one. A base coat of white shade is best for this style as it gives other colors a chance to stand out. 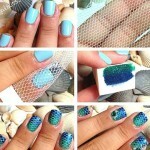 Once it dries up, cover the skin area with tape leaving the nail uncovered for the colors to pour in. Take an old brush and start splattering, repeat the process with different colors.